The Federal Communications Commission’s vote on net neutrality is in. As a result of the expected 3-2 victory, broadband Internet will be reclassified as a public utility under Title II of the Federal Communications Act which gives the government more power to regulate its use. Under the new classification, things like paid prioritization, slowdown of select content and the ability of ISPs to selectively disable certain web features will be prohibited. The new rules also ensure that those with disabilities have access to the Internet as well as those living in remote areas. FCC Chairman Tom Wheeler, Commissioner Mignon Clyburn and Commissioner Jessica Rosenworcel voted in favor of net neutrality while the two Republicans on the commission, Ajit Pai and Michael O’Rielly, unsurprisingly voted against it. The new regulations are expected to be published in the Federal Register in the coming weeks. They’ll become law 30 days after publication although one would be foolish to think that the matter is settled and done. ISPs like Verizon threatened legal action leading up to the vote; now that it has passed, lawsuits from a bevy of companies are almost a given. Those against net neutrality argue that it will open the door for future government meddling and will deter infrastructure innovation and investments – a move that will ultimately hurt consumers. Given today’s historic outcome, what’s your stance on the matter? 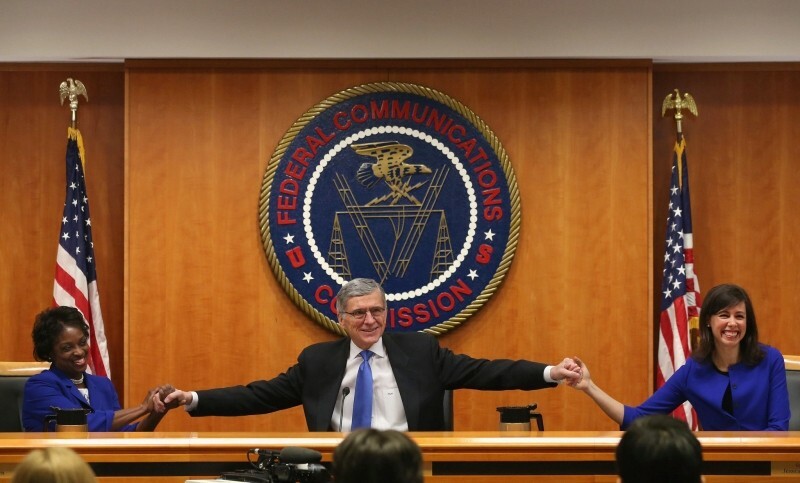 Has the FCC made a wise decision or a grave mistake in passing net neutrality? Share your opinion in the comments below.